The heads of delegations of the 12 oil-producing states have decided at the OPEC 167th Meeting in Vienna to keep their production quotas unchanged. RT will keep you updated on all the latest developments throughout the day. Chemical engineer and journalist Rami Eljundi, explained to RT what complexities may lie behind OPEC’s decision to leave the level of oil production unchanged. OPEC president Diezani Alison-Madueke and OPEC Secretary General Abdalla Salem El-Badri will speak to the press at 4pm GMT. OPEC's decision not to cut production quotas will keep oil prices at the same level of $60-70 per barrel, “although we would like higher prices,” Gazprom Neft chairman Aleksandr Dyukov said. RT’s Daniel Bushell in Vienna reports on what the OPEC decision means for US shale producers, who are facing break-even costs. He interviewed Ryan Lance, CEO at ConocoPhillips. Iraq is satisfied with OPEC’s decision to leave output unchanged, Iraqi Oil Minister Adel Abdel Mahdi said. Russian oil major Rosneft has no plans to adjust its 2015 budget, which is based on an oil price of $50 per barrel, after OPEC’s decision, the company said. Indonesia left OPEC in January 2009, after a sharp decline in oil production led to it becoming an oil importer, rather than an exporter. 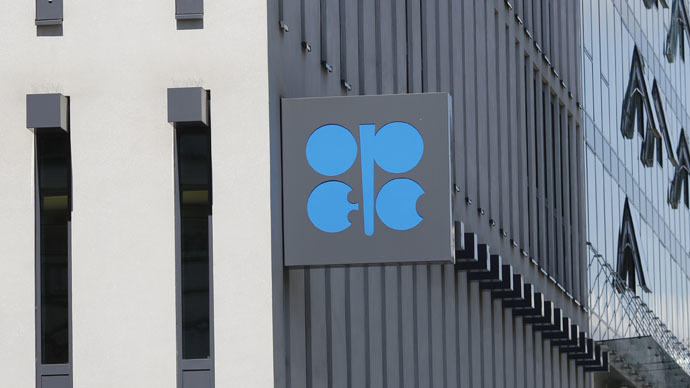 OPEC leaves output unchanged, the next meeting is scheduled for December 4 - Saudi Arabia Oil Minister Ali al-Naimi.